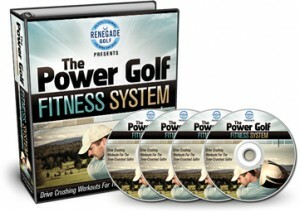 What Does Golf Fitness Look Like? So what exactly does golf fitness look like? There have been several winners lately on the PGA Tour (the latest being Kevin Stadler) that don’t seem to be the (visual) epitome of health and fitness. 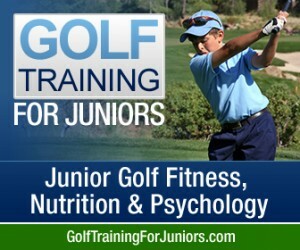 This prompted the question from a friend of mine of whether or not golf fitness was even necessary… maybe just a fad. I hung my head in shame and was just glad that I’d made some good investments and had retirement savings. Time to close up shop. All joking aside, it was a legitimate question, deserving of a legitimate answer. 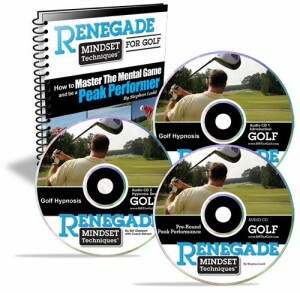 What are the most important physical elements of high-level golf performance? You’ll notice that a low percentage of body fat is not listed among the above elements, nor is the ability to run a marathon. I certainly consider elite marathoners to be impressive athletes, but they are completely different animals from golf athletes. Body fat is really only a problem from an athletic standpoint if it negatively affects performance. How higher body fat percentages might limit athletic potential is up for debate in a sport like golf. Few would argue that additional body fat on a 100 meter sprinter would be detrimental. However, it gets less clear with golfers, and usually ends up in the realm of speculation. Obviously, it’s been proven that golfers who are overweight, drink, smoke, and have terrible postures can win on Tour. The speculation I’m referring to is wether or not these golfers are reaching their full potential. Might they be multiple winners if they had better lifestyle habits? Again, it’s total speculation. I’ve had the chance to hear Phil Mickelson’s golf fitness trainer, Sean Cochran, speak on many occasions. It might surprise some folks that Phil has a trainer, a damn good one at that, and that he works out consistently year-round. As Sean explains it; Phil never gets fatigued on the course, has great flexibility and produces both power and finesse on demand. The fact that his weight fluctuates on the heavier side of the scale is primarily due to some lifestyle and off-course nutrition factors, but appears to have no correlation to his level of performance. Phil is on the cover of golf magazines all the time because he wins. He is unlikely to ever grace the cover of Mens Fitness… but my guess is he couldn’t care less. Although there are plenty of overweight golfers that are still “healthy” in the generally accepted use of the term, my two decades in health and fitness would have me believe they could even better by optimizing lifestyle choices. Gastro-Intestinal issues – See Are You Full Of Crap? All of these conditions are detrimental to performance. Golf aside, they will negatively affect your performance in LIFE! Nobody truly needs six-pack abs or bulging biceps (except bodybuilders and maybe actors for a particular role), and this applies to recreational golfers all the way to the elite members of the Tours. Everyone will benefit from functional movement training for the sport of life.